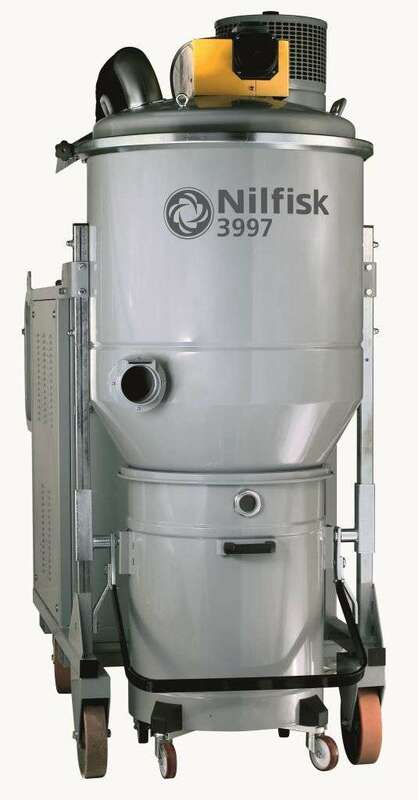 The most powerful “mobile” Nilfisk-CFM industrial vacuum, featuring 30 HP and up to 36000 l/m airflow. Designed for heavy duty and continuous use. Excellent filtering efficiency thanks to the electric filter shaker. Despite its size, it is very easy to move and to use. The control panel includes on-off switches, timer and manometer. This vacuum is also equipped with lifting brackets or clamp and brackets and includes an accessory box. “L”, “M”,“H”, or PTFE filter Stainless steel versions available. Available in hazardous explosive version.